(Xerox Network System's Internet Transport Protocol)--(In LAN technology) A special communications protocol used between networks. 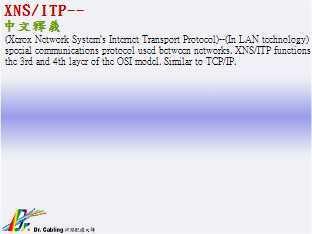 XNS/ITP functions at the 3rd and 4th layer of the OSI model. Similar to TCP/IP.